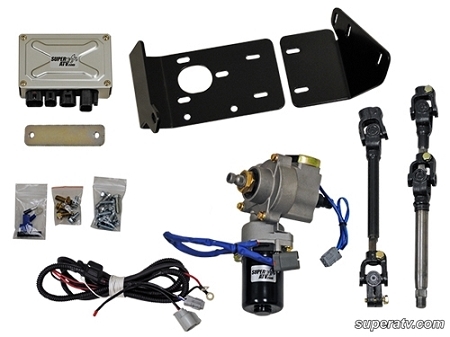 EZ-STEER power steering kit for the Polaris RZR / RZR S / RZR 4 is the most advanced kit on the market. Designed to make your ride better, EZ-STEER drastically reduces steering effort allowing for longer more enjoyable rides. Along with enhanced steering, power steering will virtually eliminate bump steer and provide a smooth and consistent ride.